This property is 2 minutes walk from the beach. 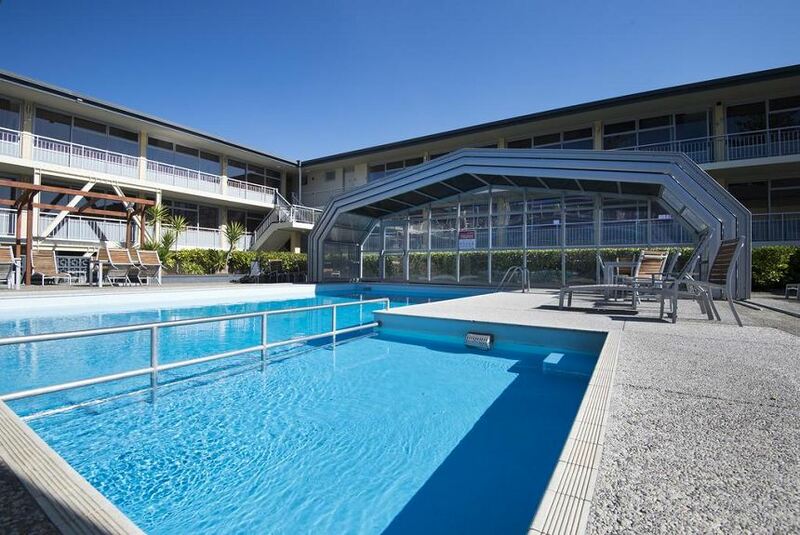 Quality Inn Napier offers free WiFi, a covered, heated swimming pool and free parking. Guests also enjoy an onsite restaurant and a bar. Situated directly opposite Marineland and the Pacific Ocean, Quality Inn Hotel Napier is a 5-minute walk from Napier city centre. Hawke's Bay Airport is a 15-minute drive away. Each studio and apartment includes satellite TV, ironing facilities and a kitchenette. All accommodation includes a private bathroom. Some studios include a spa bath. Other facilities include room service, conference rooms and a guest laundry.